A quick how-to on identifying, cultivating, building and sustaining fans of your brand. Similar to Malcolm Gladwell's assertion I believe the term "Brand" is a euphemism and can’t necessarily be categorized as anyone thing. Let’s take a moment and examine the many different dimensions of “Brand” before discussing its relationship with fandom. Strong Brands imbue products, services and or an organization with an idea that promises. Nike for instance doesn’t spend much time speaking to the “features” of their product. Its doesn’t often speak to how the sole of its first shoe was made in a waffle iron, albeit one of the more interesting product origin stories. It’s brand promise rather is to “bring inspiration and innovation to every athlete in the world." 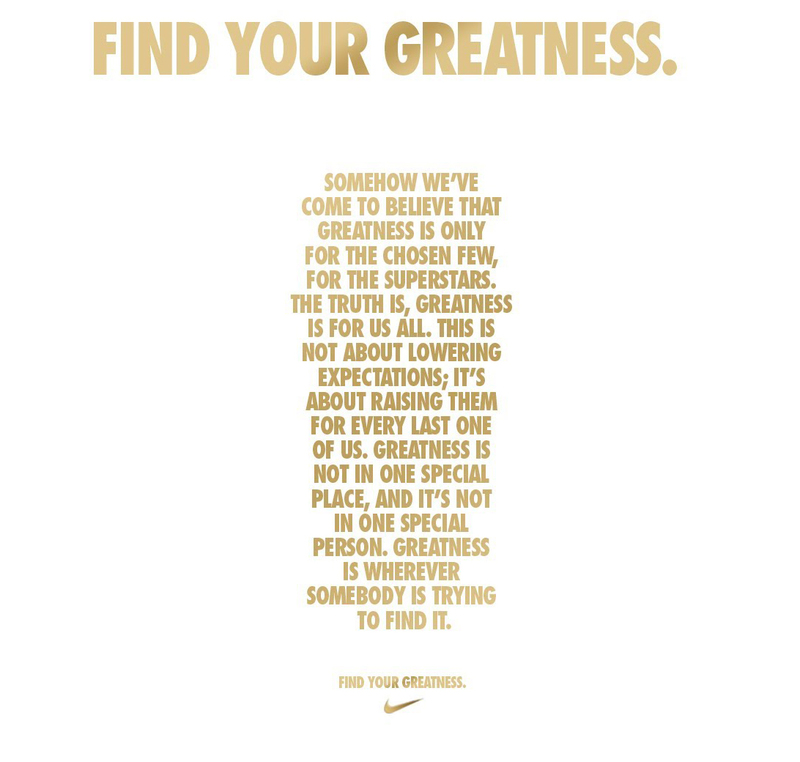 Nike’s brand idea "Greatness" speaks to your soul as a vehicle to deliver it’s brand promise. Marketing and Advertising design is responsible for promoting and articulating that Brand Idea’s promise to the right audience through a relevant and meaningful narrative. Don't you just love that advertisement(s)? This is great example of a brand promise being made with a compelling narrative that has many legs (no pun intended). Meet people where they’re at with relevant media placement that also surprises and delights. The classic title crawl of Star Wars is replicated here to promote the Star Wars Trilogy at Target on the checkout conveyor belt. It combines an iconic thematic element (title crawl) with a surprise and delight point of purchase solution. Another great media placement example, speaking of Nike, was their 2010 installation in Johannesburg. "The ambitious interactive installation allows fans to submit personal messages to inspire their favorite players, and then see their headline transformed into a huge player animation that will tower over the city of Johannesburg." Bonus points for meeting fans where they're at and giving them a way to sound off. More on that later. After purchase and upon use, the product, service and/or organization fulfills that brand promise. Zappo's fulfills a brand promise of “Happiness” inside and out of their company. A promise delivered through their passion for creating a great company culture and customer service. We can see the results of when that promise is delivered here in where a best man at a wedding is facing a disaster but leaves as a Zappos customer for life. If a brand promise is truly fulfilled a long-term relationship can form between the brand and its audience, creating affinity and loyalty. This relationship, if very strong, is also a way for your audience to share, by affiliation, what they wish to project as their public persona. The strongest brand relationships make for brand ambassadors. These ambassadors are super fans, they're multipliers. And multipliers share their affinity for brands in a one-to-one-to-many way. What are the common traits of a multiplier? Back in the early 2000's, I spent an inordinate amount of time palling around with hacker communities in San Francisco. Attending 2600 meetups, learning about Phreaking (Red Boxes), going to Laughing Squid, Werepad and Cult of The DeadCow events and parties whilst sporting my prerequisite "Free Kevin Mitnick!" t-shirt. Speaking of which I should probably wash that, but I digress. Let's face it I was a fanboy, affiliating myself with a branded community and proud of it. But why? My love, in 20/20 hindsight, was rooted in the fact that information in this community was/is shared freely. It was/is about, for the most part supporting others and challenging yourself to solve big gnarly problems together. Be it with others in person (Hackathons) and or on a random BBS, IRC channel, etc. Now I believe that brands can and should also foster these same types of shared communities of learning leveraging the traits of multipliers. Lets look at some Brand examples where this is happening. 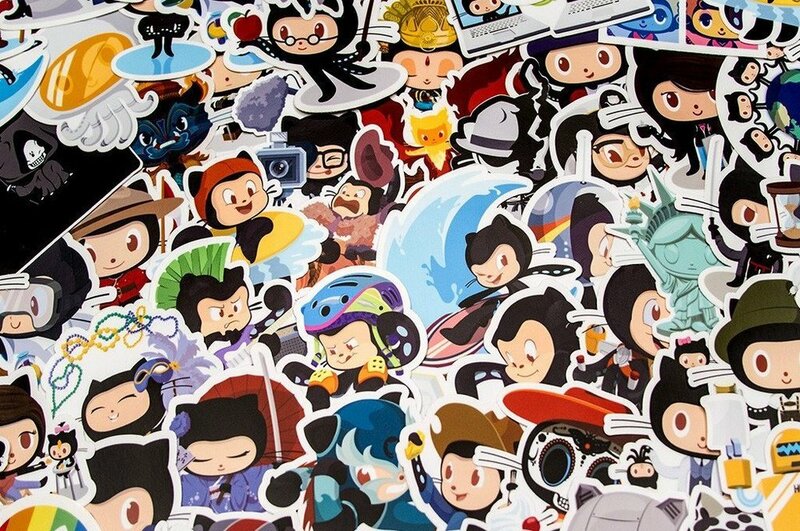 Started in 2007, GitHub is a software workflow tool built by developers for developers. A tool for no matter what kind of developer you are; Python, C Sharp, Visual Studio, Ruby on Rails, etc. GitHub has a symbolic way to extend it’s brand through it’s Octocat, Mona. She can morph into different illustrated representations for a range of developer communities. This allows members of a community to personally choose and identify with an image that represents their culture, interests and or occupation. This taps directly into the multiplier personality. It gives members of a virtual community a way to evangelize, participate in, become emotionally invested (just look how cute Mona is!) and appropriate. And now GitHub is furthering their commitment to the community. Harnessing the collective intelligence of the hive-mind they've launched a host of new features, including the “Explore” tab. The explore section on GitHub highlights collections, curated by our experts. In doing so it connects developers to resources, repos and or other like minded people. Earlier this GitHub launched the ability for users to label their repos with topics. To date they’re over 250k topic pages to choose from. These topics are primarily community curated. Another major trait multipliers share is that they’re highly participatory. Brands need to think about how to leverage key fan activations that draw them in to engage. RedBull is a pioneer and heavy investor in this kind of experiential marketing since coming to America in 2000. You see them stick the landing through a host of activations. Bringing the slogan "RedBull gives you wings" to life. RedBull FlugTag, competitors try to fly homemade contraptions with often hilarious results. Red Bull Stratos, Felix Baumgartner boards a vessel carried hot air balloon to 128,100'. Then jumps out for a supersonic fall back to earth. RedBull Street Kings, New Orleans knows how to party and the essential soundtrack to Second Line parties and parades are Brass Bands. But who's the best? RedBull set out to find the answer in the Treme. Now I understand that not all brands can be as blown out as RedBull. That doesn't mean you can't get creative with some one-off fan activations. Here are some interesting examples from SXSW 2017. Customers demand more of brands than ever. No matter what you do you need to build and nurture a fully rounded customer experience that pays off your audience's investment, and yours, at every touchpoint. I hope you've found this "6 Dimensions of a Brand and How to Connect with Fans" helpful. If you have an additions, suggestions and or general comments please don't hesitate to share them in the comments section below.